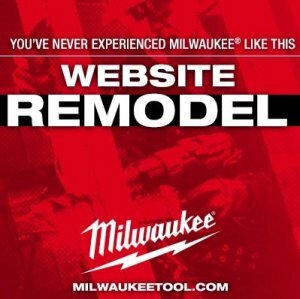 If you have visited the Milwaukee Tool website within the last couple of days you might have noticed that they have completed a major overhaul. It is now even easier to navigate through the categories, it is more visually appealing and also more organized. When you have as many products to showcase as they do, making it easy for the users to dig through their product line is key. One of the features I really like is that you can get down to and select product subcategories without even leaving the home page. Then it is just one click to get to the page you are looking for. If you are not really sure where you should be looking, Milwaukee also has sections set up by trade, so you can go to the Carpenter section to find miter saws, cordless tools etc, or the Electrician section to find testing equipment, cordless band saws, compact drivers, etc. If you visit their new website you could very well discover that they make all kinds of tools you probably didn't know they make. While their website is new and I am sure they are still working out the kinks, if you have any feedback for them, now would be the time. I am sure you can let them know on any of their social pages.